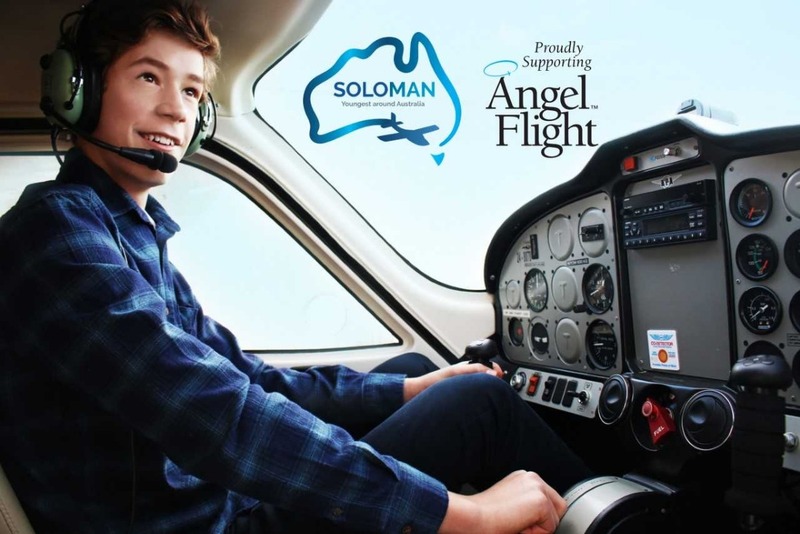 My name is Solomon Cameron and I am a 15-year-old pilot aiming to fly around Australia in Autumn of 2019 to raise money for Angel Flight and inspire kids to become pilots. Growing up I have always been in love with aviation. When I was 11 years would I would ride my bike out to my local airport and sit on a bench for hours watching the aircraft. I would sit on that bench every weekend for a year dreaming to take to the skies. By mowing lawns and oiling decks I was eventually able to afford my first lesson when I was 12 years old. The excitement and thrill was overwhelming. After that first flight, I was more determined than ever to get my pilot certificate. Pilots at my local airport were constantly willing to share their knowledge and an empty seat in their plane. They are always keen to encourage me to achieve great things, I owe them so much and I am very grateful for their support. Having met pilots that volunteer to fly sick passengers to and from medical support for Angel Flight, I believe they provide wonderful support for the Australian community. On my trip I am going to be stopping at multiple schools to give talks on becoming a pilot and achieving goals. At each school, I visit I will be holding a fundraiser for Angel Flight. The funds raised here will go towards the essential safety of the trip. 100% of the leftover funds will be donated directly to Angel Flight.